We're now at the last of the posts on the PaRDeS words, and we'll be discussing the word sod סוד. Unlike remez which doesn't appear in the Tanach at all, and derash which has many possible meanings in Biblical Hebrew, sod has two usages. Even Shoshan's concordance lists 16 verses where the word means "assembly" and five where it means "secret" - the more common meaning today. The development between "secret" and "assembly" isn't very hard to grasp, when we place the term "secret advice" in between them. A parallel set of terms in Hebrew is moetza מועצה - "assembly" and etza עצה - "advice". In English we also have the related terms "council" and "counsel". However, for our purposes, it is important to determine which meaning came first. Without looking at other evidence, I can easily see either one leading to the other. But if we want to see if there are related words in Hebrew or in other Semitic languages, we need to know which meaning came first. Related to Syriac סודא, סוודא (= friendly, confidential speech), Arabic sawada (= he spoke in secret). Kaddari has a similar order: 1) secret thought, 2) consultation with trusted friends, 3) consultation with a group, 4) assembly. from Arabic Bilad-al-sudan, lit. "country of the blacks," from sud, pl. of aswad (fem. sauda) "black." "alkaline substance," from It. sida (or M.L. soda) "a kind of saltwort," from which soda is obtained, probably from Arabic suwwad, the name of a variety of saltwort exported from North Africa to Sicily in the Middle Ages, related to sawad "black," the color of the plant. Med L. soda, from sodanum, lit: "headache remedy", from soda (=headache), from Arabic suda, in vulgar pronunciation soda (= splitting headache), from sada'a (=he split). However, the Daat Mikra claims that the primary meaning of sod is assembly (and actually gives a higher percentage of usage to that meaning than does Even-Shoshan.) For example, Amos Chacham writes on Tehillim 25:14 that "sod in Biblical Hebrew means proximity and connection, not necessarily in secret, but even in public, as in Tehillim 111:1 - אוֹדֶה ה', בְּכָל-לֵבָב; בְּסוֹד יְשָׁרִים וְעֵדָה. - 'I praise God with all my heart; in the assembled congregation of the upright'". Jastrow seems to follow this same line of thought, and writes that sod derives from a root סדד, meaning "to join". He lists a number of other words from this root. One is sad סד, a Biblical word meaning "stocks for torturing, blocks", which he connects to the Arabic sadda - "to obstruct, to block". This is the source of the English word "sudd" - "a floating mass of vegetation that often obstructs navigation in tropical rivers". Jastrow also writes that the word sadan סדן - "block, anvil" is related to sad. From here we get the modern word sadna סדנה - meaning "workshop". Another derivative he provides is yesod יסוד, meaning "foundation". According to Jastrow, the development is "to join, to fasten, to found, to establish". From here we get the word musad מוסד - "establishment, institution", well known as the Mossad - Israel's intelligence agency (institution). Steinberg has a similar theory to Jastrow - also connecting sod, sad and yesod. However, unlike Jastrow, who writes that the common root means "to join", Steinberg feels it means "to establish on a base, to sit in a place". Therefore the original meaning of sod was "sitting together of friends". He also connects the word sadin סדין to the same root. This I have trouble with. I can put aside the fact that current research says that sadin derives from a Sumerian word, since I'm guessing Steinberg didn't have access to that information. However, while in Mishnaic (and current) Hebrew sadin means "sheet", in Biblical Hebrew sadin meant "garment". His attempts to show that based on Mishnaic use the word originally meant "sheet" (which covers the the base where one sleeps) is a bit of a stretch. However, Steinberg does present a theory which I did find some more modern support. He writes that the root סוד - meaning "to establish, sit" has Indo-European cognates, in the Sanskrit sad, the Latin sedere, and the English "sit". He's referring to the base *sed, which is the source of many related words in English. Starostin connects the IE root here to our Semitic root here (although if I follow it correctly, only to yesod, not sod.) Of course all the normal caveats apply to the Nostratic hypothesis, but Steinberg might have been on to something. So we can see from here that if sod originally meant "secret", then it might be related to "soda". If it originally meant "assembly", then there's a chance it's related to "sit". But there's almost no possibility it's related to both. Another thing to rule out is my own theory from before I started researching this post. I thought perhaps the original root meant "to cover up" - which would have connected it to the Biblical word sid שיד - "whitewash". In Talmudic Hebrew the root becomes סוד, but no one makes any connection to our sod. I did even find a theory that the town Sedom (Sodom) סדום is related to שיד, as it was found in Emek HaSidim עמק השדים. Most of these meanings appear somewhere in the Tanach (with the exception of "preach, lecture"). So we can't claim biblical usage as a sign of original meaning. JAram.-Syr. דרש, Mand. דרש (= he examines; he instructed, taught). Arabic darasa (= he learned, studied), Ethiopian darasa (= he expounded, interpreted) are Aramaic loan words. The original meaning of this base probably is 'to tread, trample, rub', hence ultimately identical with base דרס. Klein defines דרס as "to tread, trample" but doesn't explain the connection to darash there either. Perhaps one of you can see the connection between דרס and דרש, but nothing seems obvious to me. c.1125, from O.Fr. estudier "to study" (Fr. étude), from M.L. studiare, from L. studium "study, application," originally "eagerness," from studere "to be diligent" ("to be pressing forward"), from PIE *(s)teu- "to push, stick, knock, beat"
It is worth noting that this verse expresses something of historic importance. Previously, the root drsh was used for seeking out God, that is, for consulting an oracle, a priest or a prophet. Now it is used for the teaching of God, for the Torah. Ezra begins to inquire of a test, and thus we are signaled that the era of prophecy is at an end. 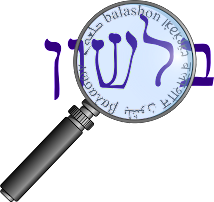 The term Midrash itself derives from the root drsh (דרש) which in the Bible means mainly “to search,” “to seek,” “to examine,” and “to investigate” (cf. Lev. 10:16; Deut. 13:15; Isa. 55:6; et al.). This meaning is also found in rabbinic Hebrew (cf. BM 2:7: “until thou examine [tidrosh] thy brother if he be a cheat or not”). The noun “Midrash” occurs only twice in the Bible (II Chron. 13:22 and 24:27); it is translated in the Septuagint by βίβλοs, γράφη i.e., “book” or “writing,” and it seems probable that it means “an account,” “the result of inquiry (examination, study, or search) of the events of the times,” i.e., what is today called “history” (the word history is also derived from the Greek root ίστορὲω which has a similar meaning). In Jewish literature of the Second Temple period the word Midrash was first employed in the sense of education and learning generally (Ecclus. 51:23), “Turn unto me, ye unlearned, and lodge in my house of Midrash,” which the author’s grandson translated into Greek, “house of instruction or of study”; compare the similar development of the Latin studium which originated in the verb studeo which means “to become enthusiastic,” “to make an effort,” “to be diligent,” etc. and only in a secondary sense, in the post-Augustan era, in the sense of learning (with diligence and the noun studium passed through the same stages of meaning; cf. Ger. studium; Fr. étude, etc.). So if I understand Moshe David Herr's EJ article, he says that first the word darash meant "to search" or "to seek", and from there developed to the sense of "to study", with a similar pattern in Latin. However, that leaves an obvious question. Where would the connection to דרס fit in to Herr's theory? The root drs is found in several Semitic languages: Aramaic, Arabic, Ethiopic, Syriac and Mandean, and is attested in Ugaritic (as yet only once, according to Bauer's reconstruction). It is debatable whether Akkadian darasu has anything to do with the same root. The original meaning of drs is hard to determine. It is probably correct to translate it by the English words "seek," "ask," "inquire (of)" (Ugar. "interrogate, question"?). The root must have undergone a change of meaning in the course of its use. In late Semitic languages such as Middle Hebrew, Jewish Aramaic and Syriac one encounters meanings like "interpret," but also "tread," "trample". So Wagner basically reverses Klein's theory and says that דרס followed דרש. Gesenius supports Klein, by saying that the original meaning was "to tread a place, i.e. to go or come to it, to frequent" and from there "to seek, to search for". I'm not sure who's right. Gesenius is the only one to flush out Klein's theory (of course Klein read Gesenius, not the other way around), but it seems somewhat forced. And the fact that darash never actually means "to tread" in Biblical Hebrew leads me to give more weight to Wagner's theory. Regardless of the original meaning, by Talmudic times the verb darash came to be almost exclusively associated with study, meaning "to expound, interpret" or "to teach, lecture". The former sense gave us the word מדרש midrash (actually appearing once in the Tanach - Divrei Hayamim II 13:22) meaning "homelitical interpretation", and the latter sense we find in both the words derasha דרשה - "sermon" and beit midrash בית מדרש - "house of study". Madraseh, like many terms used by the world's Muslims, comes from Arabic, in which it is a nominal form of the verb darasa, "to study." In contemporary Arabic, however, madrasa does not necessarily mean a religious seminary. It is the generic word for "school," so that a second-grader learning to read and write is attending a madrasa, too. It is only in non-Arabic languages spoken by Islamic peoples that the word specifically refers today to a religious institution of higher learning. As for the Jewish beit midrash, or "house of study," it comes from the verb darash, "to seek" (exactly as the talib of "Taliban" comes from talaba, "to seek"), and goes back to early rabbinic times in Palestine — that is, to the very beginning of the Common Era. Jewish education in this period began with a beit sefer, a "house of the book" (the generic Hebrew word for "school" to this day) in which young children were taught reading, writing and Bible; continued with a beit talmud, or "house of learning," in which some Mishna and simple rabbinic jurisprudence was taught to older children, and progressed to a beit midrash, in which advanced students sat at the feet of famous rabbis. The original beit midrash was thus similar to what eventually came to be known among Jews as a yeshiva, literally, "a sitting." Over the centuries, however, as the word yeshiva replaced beit midrash for an institute of higher Jewish learning, beit midrash came to denote an informal place of study in which anyone could sit and learn on his own in the presence of a library of sacred books. The interesting question is whether the linguistic connection between the Muslim madrasa and the Jewish beit midrash is more than a matter of the general kinship between Arabic and Hebrew and actually has a causal element — i.e., whether the word madrasa was modeled on beit midrash. Although I can't think of any way of proving or disproving this, my instincts tell me that it was probably what happened. Rabbinic Judaism had an enormous influence on early Islam, and many Islamic institutions and concepts were knowingly or unknowingly taken from it. Moreover, when one reflects that pre-Islamic Arab society had no system of formal education at all; that the word kuttab is allied to kitab, "book," like sefer in beit sefer, and that the original beit midrash was an institution of higher religious learning just as the madrasa was, it seems likely that early Islam borrowed its terminology for different kinds and stages of schooling at least partly from Jewish sources. In Modern Hebrew, as often happens, we've returned to the Biblical sense, and the most common usage of דרש is "to require". Among the derivative verbal systems are the causative and the desiderative ("desire to"); the former has an affix -ay- (gam-ay-a-ti "makes to go," kar-ay-a-ti "has do") or, after roots in -a, -pay- (stha-pay-a-ti "sets in place"). The desiderative is formed with -sa- and reduplication (repetition of a part of the root)--di-drk-sa-te "desires to see" (root drsh). The desiderative also has an agent noun in -u--di-drk-s-u "who wishes to see." Update: I've given the question of darash / daras some more thought, and I think I overlooked something. In addition to daras, we have another verb that clearly means "tread" - דרך darach. Klein says that darach is related to דרג - also meaning "to walk". So now we have three roots that mean "to tread/ walk", which leads me to believe that perhaps we're talking about an early two-letter Hebrew root. We might also be able to add דדב - "to be accustomed, be trained" and דרר - "to flow abundantly, run swiftly". In that case, it's not so farfetched to think that darash is also connected, maybe similar to Gesenius. First "to walk", then "to seek".